Malaika Arora and Arbaaz Khan were spotted outside a Bandra family court. They were there to attend a counselling session as part of the divorce proceedings. It’s over for one of Bollywood’s most loved celebrity couple — Malaika Arora and Arbaaz Khan. Months after they separated, Malaika Arora and Arbaaz Khan filed for divorce a few days ago. The couple was spotted at a Bandra family court, finally bringing an end to the speculations that they may actually work through their differences and reconcile. On Tuesday, Arbaaz and Malaika were spotted at the Bandra family court reportedly to attend their first counselling session. It is a due procedure during a divorce case and both attended together. As per rules, after a divorce petition is filed, both parties must attend counselling sessions for a period of six months to consider reconciliation. If the court finds that there are no signs of the two ever getting back together, the marriage is then dissolved. Malaika and Arbaaz have mutually applied for the dissolution of their marriage. Earlier, Malaika dropped Khan from her name and shifted out of the couple’s house. The couple has been married for over 17 years and has a son. 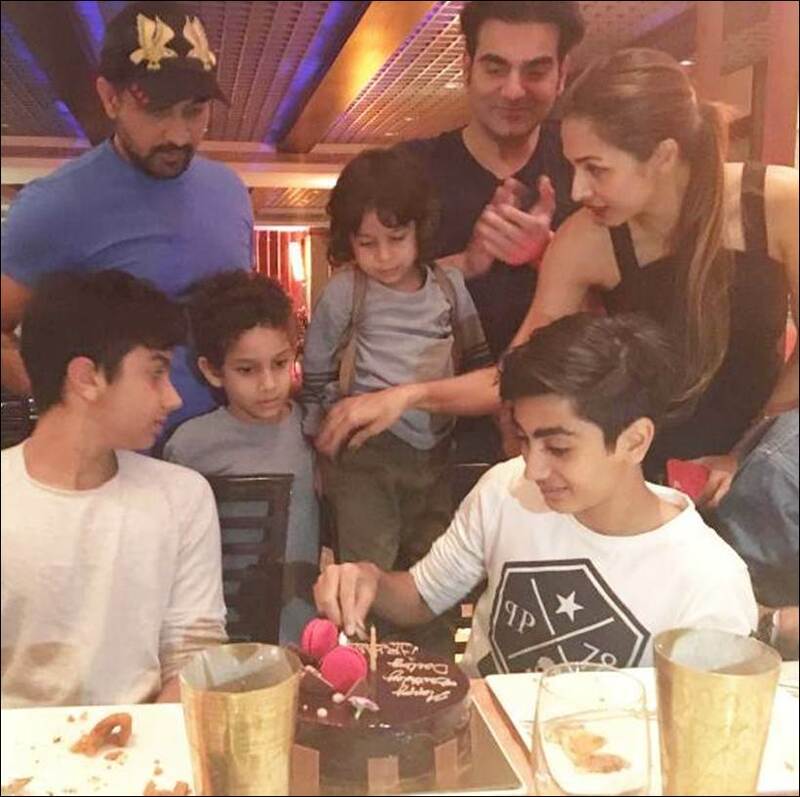 Despite parting ways, Malaika and Arbaaz have put up a united front for their son. We saw the two together attending numerous family gatherings, parties, and festivals, which made us think that the two are giving their marriage another chance. While buzz was quick to blame the rift on an alleged relationship between Malaika and Arjun, the actor opened up in a recent interview. Malaika rubbished the rumours and said that she is only friends with Arjun. A report in DNA quotes Malaika as saying that their friendship is often misconstrued. “Arjun is a very good friend of mine. But people give a very different meaning to it, which isn’t true.” Even while the couple acknowledged that they had separated in March, they said in a joint statement that it is not because of a third person.